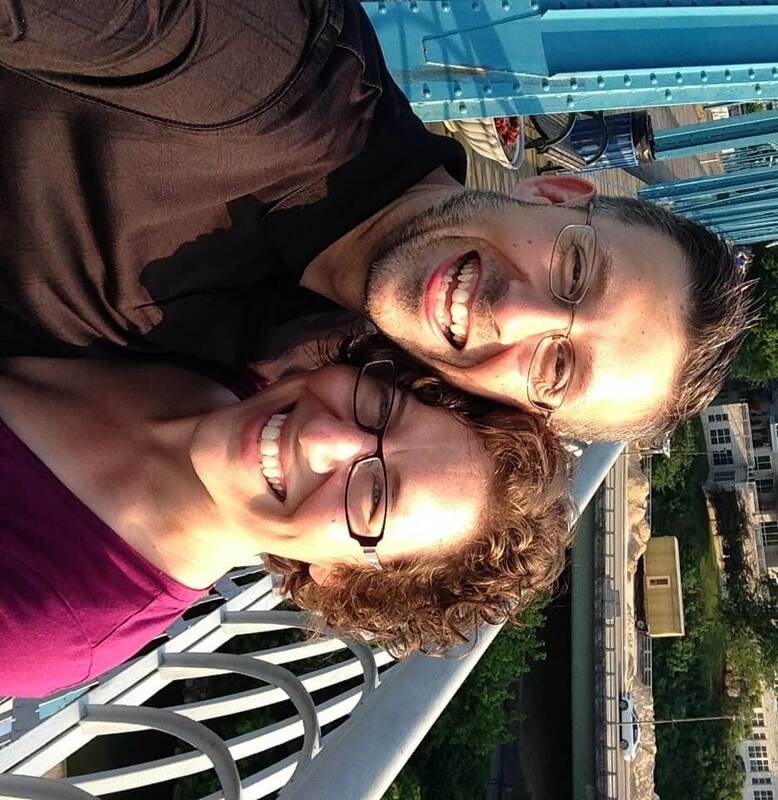 Last week, my wife and I took a short trip, just a few days to get away and spend some time together. For us, trip-taking is about two things: eating good food and earning that food. We like to try as many local restaurants as we can find/afford, but we also like to head back home without an additional 15 pounds of pants-stuffing. So we try to stay active while we’re vacationing. And no, I don’t mean like hitting the hotel’s fitness center and sweating it out on the same kinds of isolation machines, ellipticals, and treadmills that we could be using at home. I mean, doing things that still feel like a vacation from our everyday lives, only the kind that keep us moving and in-shape. Once you start vacationing like this, I promise you’ll never look at lounging around a kid-infested hotel pool the same way again. People don’t go on vacation to do the same kinds of things they can do in their hometowns. That’s why when we heard about a place called The Jump Park, we knew we were going to spend some time there. I mean, who doesn’t want 18k square feet of trampoline floors? We sure did. And when we were done, well, we sure felt like we earned the burgers we scarfed that evening. We also had such a good time, doing something together that we just couldn’t do at home. It was not only calorie-burning, but it was also an experience, which is most of the point of vacation. You don’t have to be doing an actual workout to stay active. You just need to be moving around, keeping your blood flowing, and doing more than just sitting there. 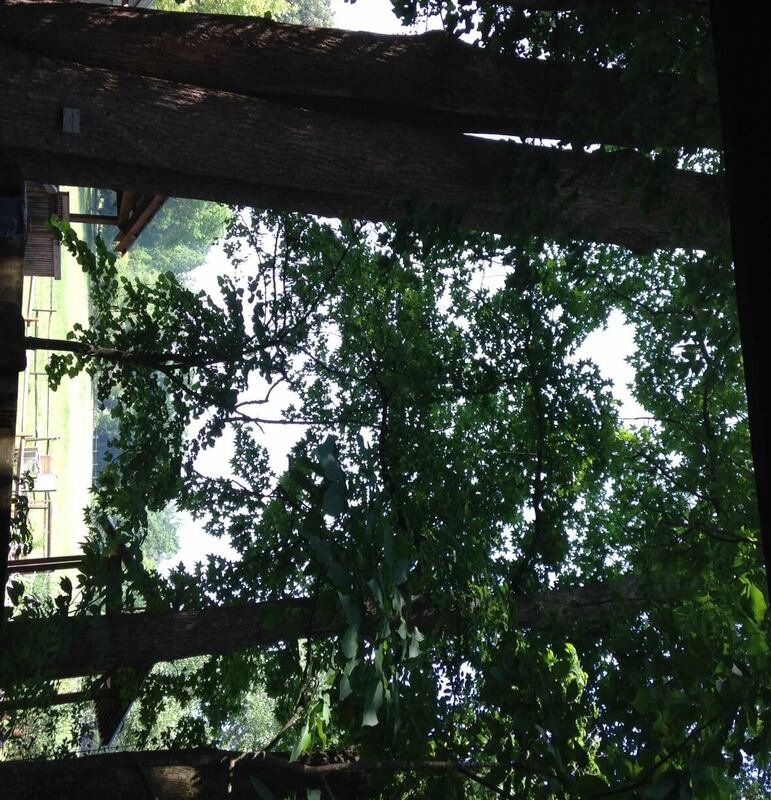 I love being outside. So a lot of our vacation activities tend to revolve around being out in the sun. But not just lying next to a pool or on a beach for hours on end (which are fun, too!). To earn our food for the day, we hit local tourism websites and see what kinds of activities are popular. If the area is known for hiking, then we find a trail guide or ask around where the best places to be outside are. This past trip, we found a wonderful place called the Chattanooga Nature Center where we were able to spend more than a few hours wandering trails and seeing wildlife. It wasn’t terribly taxing (though some of the trails we avoided were), and we left feeling relaxed and happy, but also that we had really done something. It was absolutely lovely. 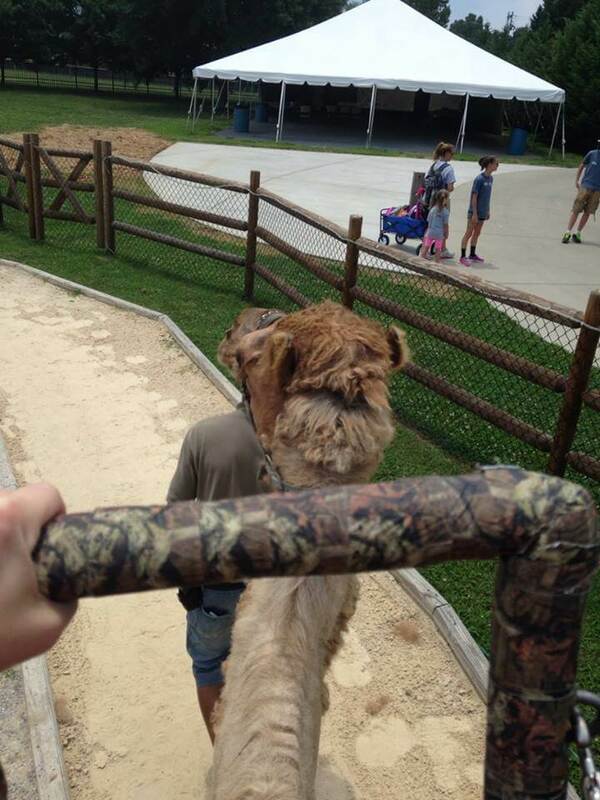 On top of that, we spent time in the Chattanooga Zoo (we rode a camel! ZOMG!) and at the Tennessee Aquarium. Neither of these were particularly hard on us, but they were fun, and we were on our feet and moving the whole time. Which is the whole point. I know that vacation is supposed to be the time to relax. But you know what’s not relaxing? Fighting for parking and dealing with traffic. One thing we did this trip that really made our time delightful was just parking and walking around. In larger cities, there might even be a bike rental service. We didn’t partake this time, but there were tons of people we saw who had rented bicycles for $6 a day and used them to get around the city and expand their range. Next time, we’re probably going to do the same thing. It sounds so simple, but it’s hard to do. We just found a parking spot, paid for the day, and then just…walked. We explored the area, doing whatever we saw that we wanted to. There was a walking bridge over the river, that was beautiful at sunset and at night. There was riverside park where we were able to watch people frolicking and playing frisbee. And the whole thing was stress-free. No worrying about the perfect parking space, no fighting interstate traffic, and–best of all–no plans. We were just having fun together while moving around in the sunshine. It was awesome. Obviously, some trips lend themselves to being active better than others. But no matter what kind of vacation you take, there are ways to stay active that don’t involve cramped fitness centers in hotels. Each one of the ways I talked about above kept my daily steps above 10,000 (thank you, pedometer app for Pebble! ), and my stress level well below normal. I never felt like I was wasting my vacation time on something I didn’t enjoy, I got to spend lots of quality time making memories with my lovely wife, and I always felt like I earned my meals for the day. What do you do to stay active on vacation? Share your tips in the comments below! Sounds like a really wonderful trip! Great job staying active!